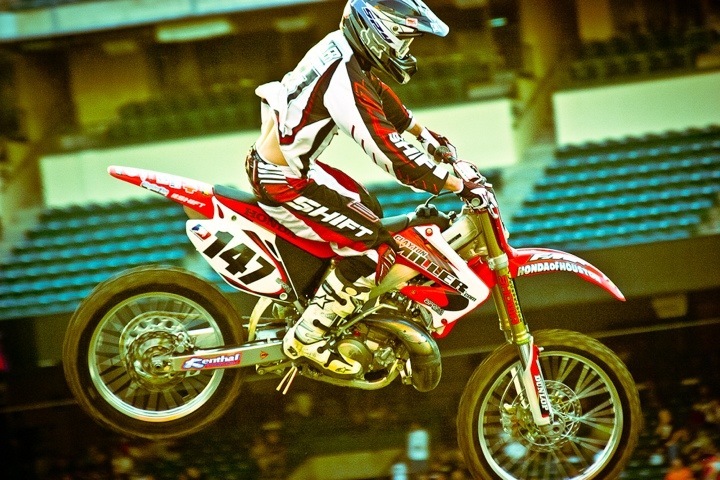 A good friend of mine Will Topete for years now sent me this photo from 06 Supercross. It brings back so many memories. I would stay at Ken Johnson’s house for years while racing the west coast series. There was a time at the end of the two stroke era where I was still riding a cr250 2 stroke! Man it sounds so good! I actually have this video from practicing on it out there. Sounds so sick! Then shortly after MC and I were both talking about the bike at track walk at one of the Anaheim rounds. Coincidentally we both showed up on 450s the next weekend and were laughing about it. The bike was fun to ride but was a disadvantage against the four strokes. Good times and memories. Thanks for the pic Will!